Congratulations, Ed very well deserved! It’s great that there are so many people who feel passionate enough about technology to share their knowledge for the benefit of all. Thanks Julian, it’s definitely good news. Congrats to you too – absolutely no doubt you’d keep your vExpert status this year, you must the most prolific LonVMUG presenter by now! Great news Ed. Well deserved, your DCA study guide was excellent! Thanks Nick. Of course now I have to update that beast as well as study myself – yikes! Nice work, gratulations on the award. 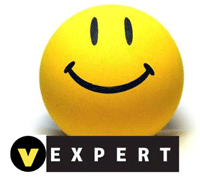 Thanks Rickard, and congratulations to you too – another vExpert! It’s a good group to be part of, I’m looking forward to an interesting year. My congratulations, Ed. You have deserved it 200%. Thanks Askar, you’re too kind. Congrats on your vExpert too!